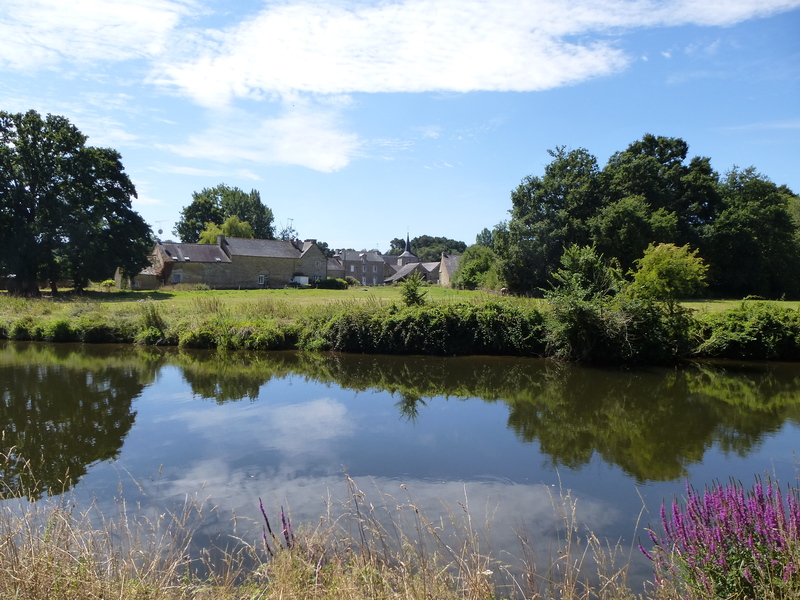 On a recent cycling trip along the Nantes-Brest Canal in Brittany I came across a small village named Saint-Gobrien. Looking at it across the canal, I instinctively sensed that this interesting-looking little place was worth a small detour. I was drawn in particular to the ancient church that stands at its centre, its spire clearly visible above the small clutch of houses. As is often the way, my instinct did not let me down, because I soon discovered that this church, in particular its atmospheric interior, was unmistakeably magical. 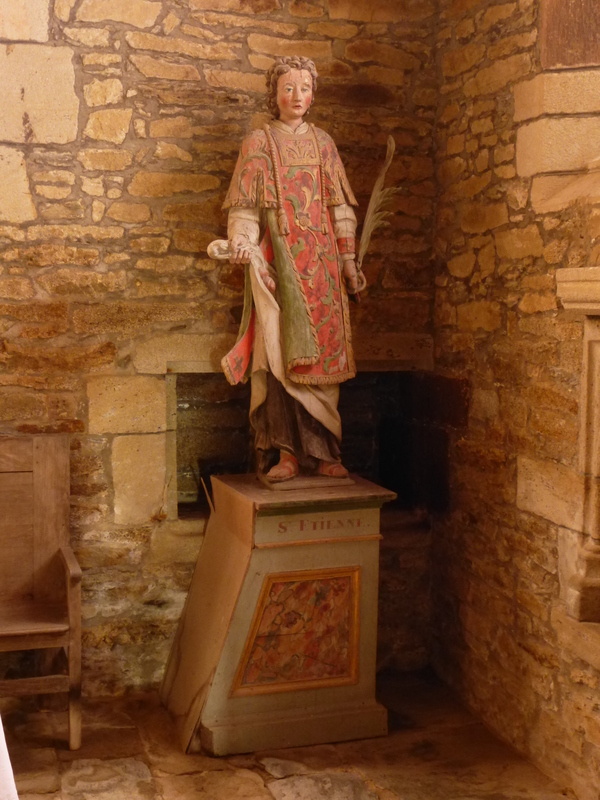 The name of the church, and indeed the whole village, comes from Saint Gobrien of Vannes, a local bishop and holy man who lived in the region and was reputed to perform miracles. 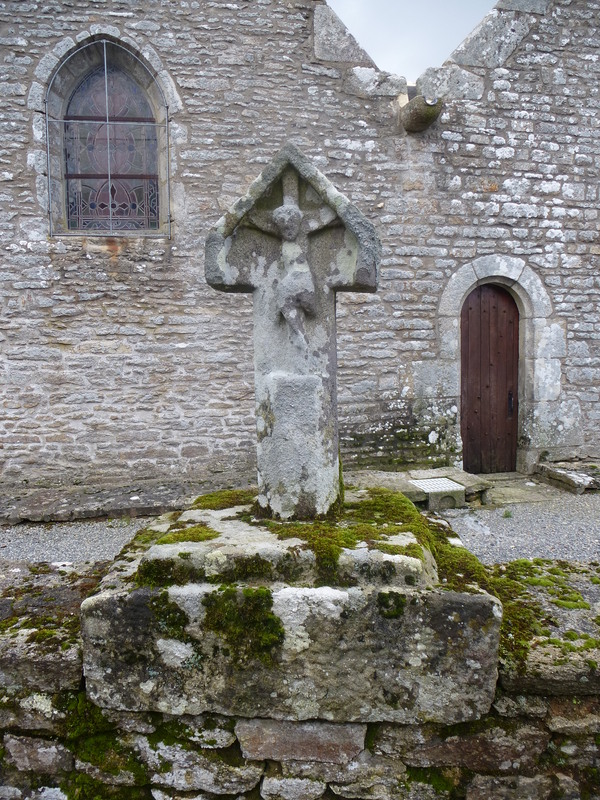 After Saint Gobrien died in the early eighth century his body was laid to rest here, and the tomb quickly became a place of pilgramage. It is thanks to this that the village grew up around its increasingly grand church, drawing worshippers for miles around who came in search of miraculous cures for their ailments. 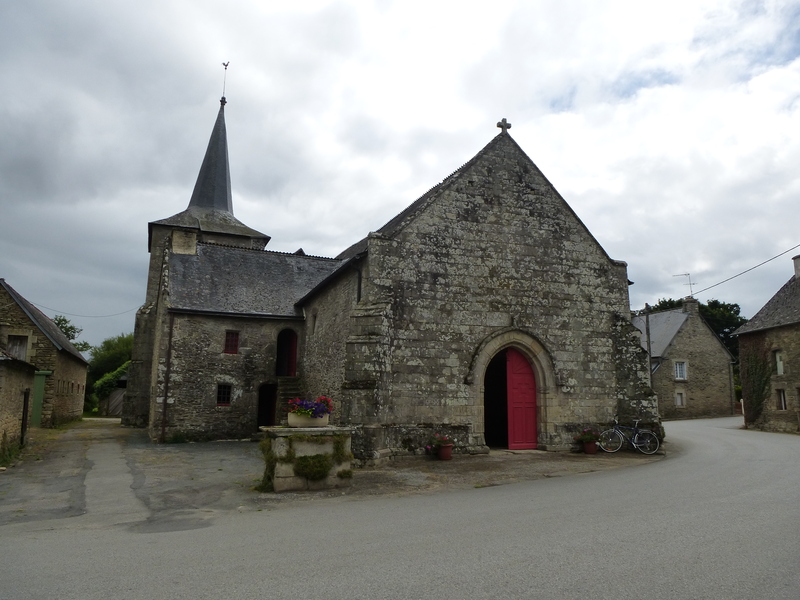 Old chapels are ten-a-penny in Brittany, but I have never encountered one with such a unique charm as this. Although parts of the building date back to the eleventh century, most of what we see today was built in the five hundred years that followed.The large porch is notable for its beaten earth floor, a rare survival of a once common building technique. The church is also filled with wonderful sculptures, ranging from colourful life size figures of saints and monumental carved altars to tiny red angels hovering in the rafters. Even the ends of the rafters themselves are carved into elaborate dragons’ heads. Although the church is obviously well cared for, its cobwebby nooks and dusty corners only add to its wonderful aura of age and mystery. 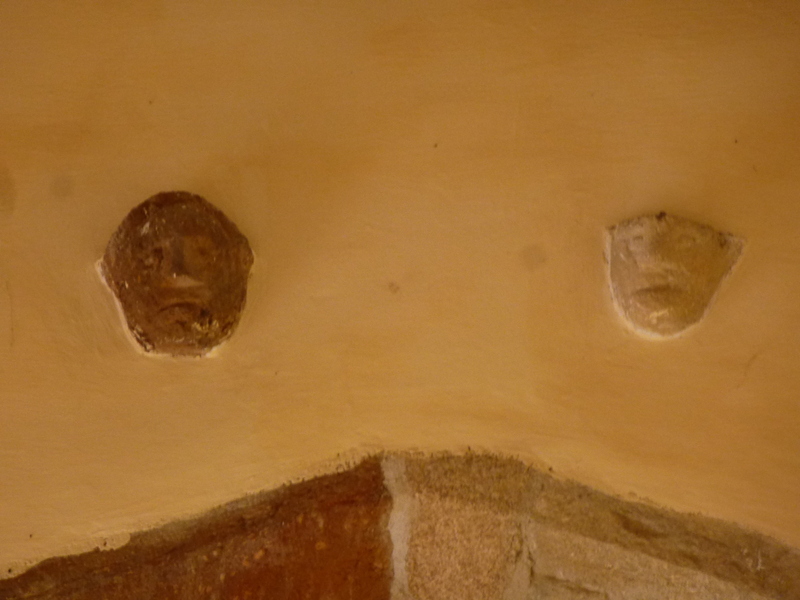 I was particularly intrigued by two strange carved faces, which project from the wall just above the elaborately carved gothic gate that decorates the arch between the porch and nave. 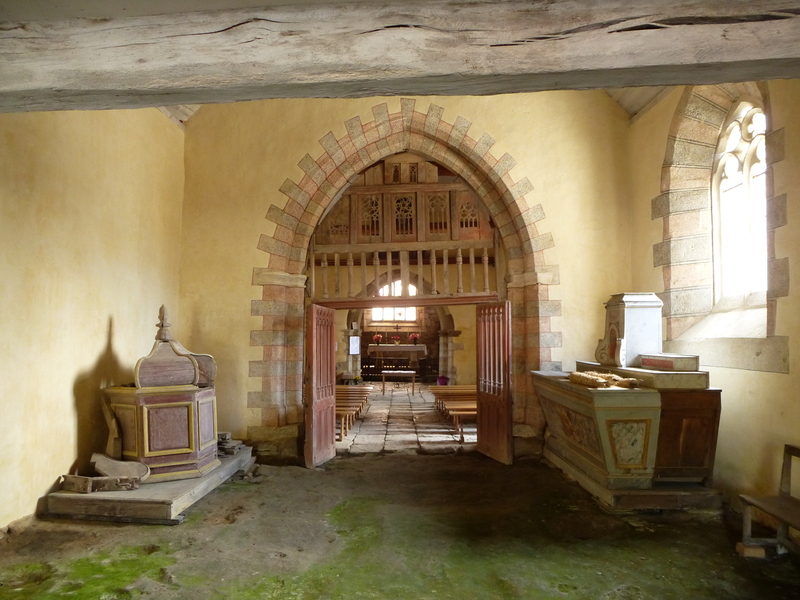 Saint Gobrien’s tomb, an unusual carved wooden structure, still survives too, although the bejewelled treasures which once decorated it, including a reliquary and a chalice, are now locked away for safe keeping. Legend tells that if pilgrims left a handfull of metal nails on top of the tomb, by the time the nails had rusted their illness would be cured. A ‘pardon’ is held here once a year, but other than that this is now a pretty quiet place. 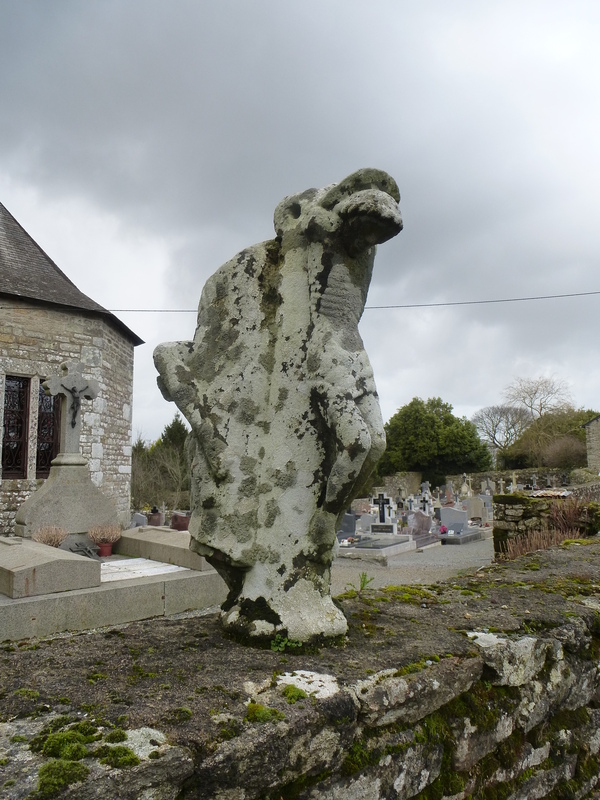 The flocks of pilgrims may have stopped coming, and the saint may be largely forgotten, but the church of Saint-Gobrien thankfully still retains its wondefully magical atmosphere. 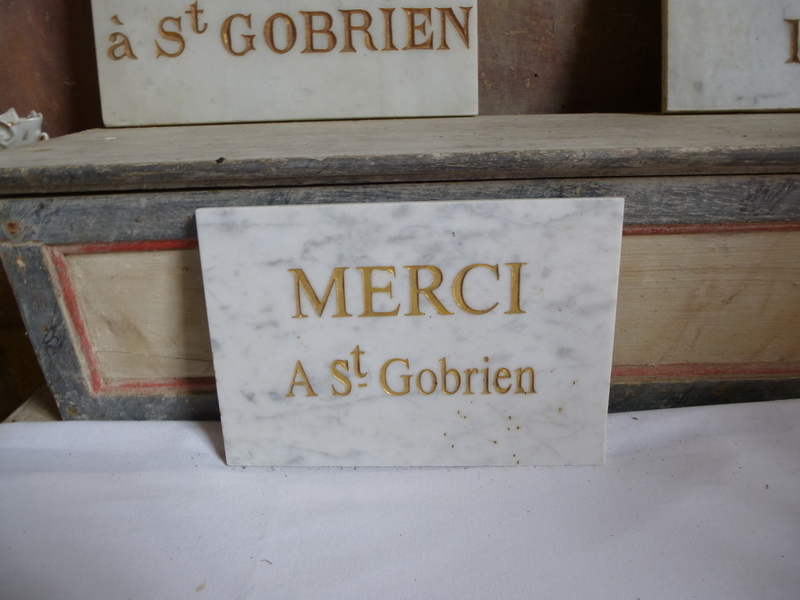 After a thoroughly enjoyable visit to this special place, what else can I say but ‘Merci à Saint Gobrien’? 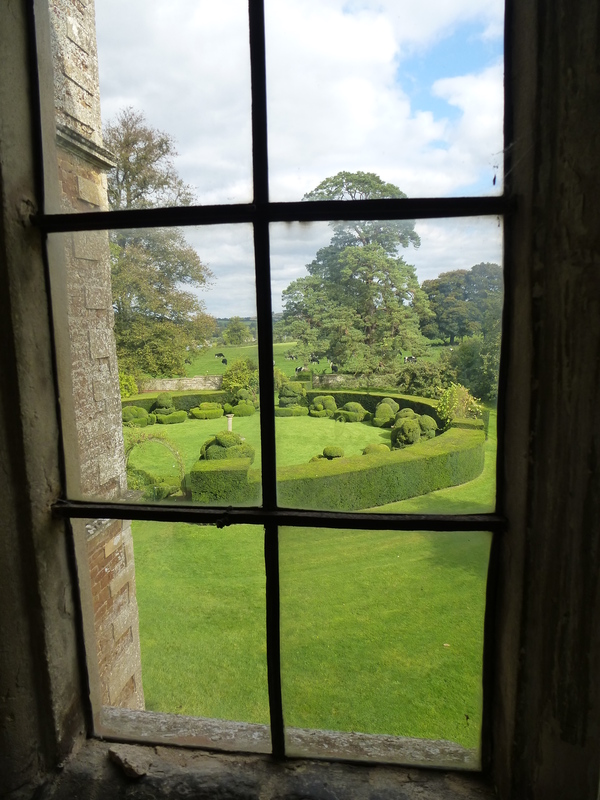 My recent trip to the Cotswold’s included a return visit to one of my favourite country houses, Chastleton House in Oxfordshire. Built between 1607 and 1612, Chastleton House remained in the same family until it was handed over to the National Trust in 1991. The fact that the family’s initial wealth quickly evaporated meant that little was done to the house, and the interior remained largely unaltered as it sank into a state of faded grandeur over a period of four centuries. 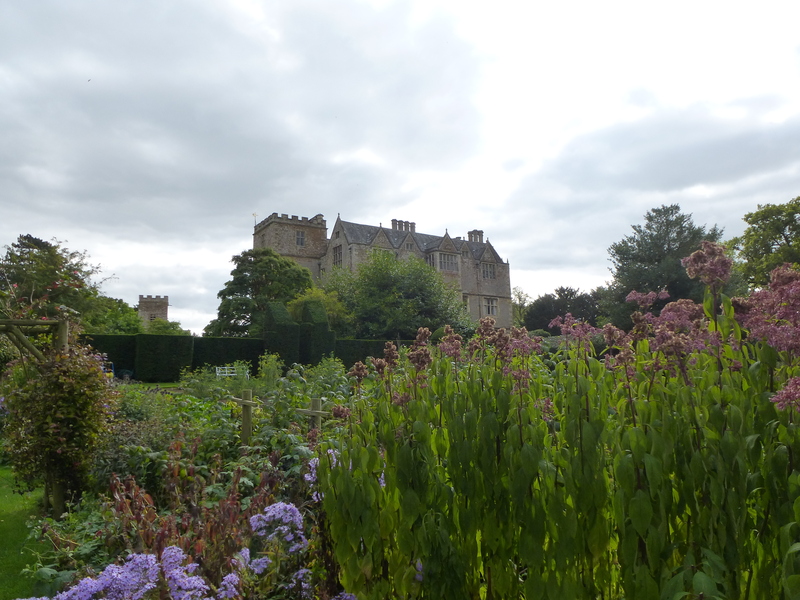 Realising what a rare opportunity Chastleton House presented, the National Trust decided not to restore it, but rather to conserve it just as it was. As a result, that faded grandeur has been preserved, and a unique atmosphere survives. 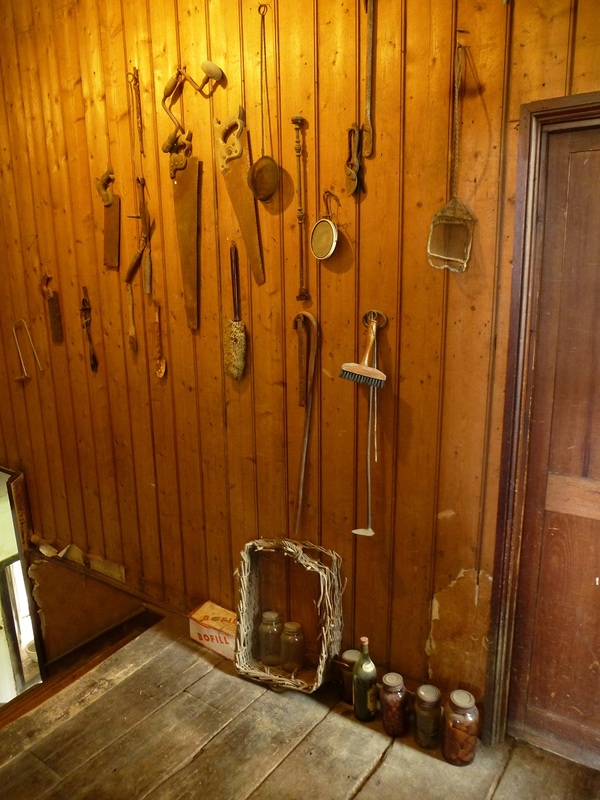 Instead of the usual glitz and glamour you may associate with a stately home, Chastleton’s historic rooms have cracked ceilings, tatty furniture and creaky floorboards. Here and there are wonderful little corners, where the most mundane objects suddenly taken on an aura of magic. There’s no teashop here, although you can buy home-made refreshments in the church next door, and no gift shop to speak of. Although I often have mixed feelings about the work of the National Trust and their apparently incessant drive to increase visitor numbers, in this case they have got it spot on. 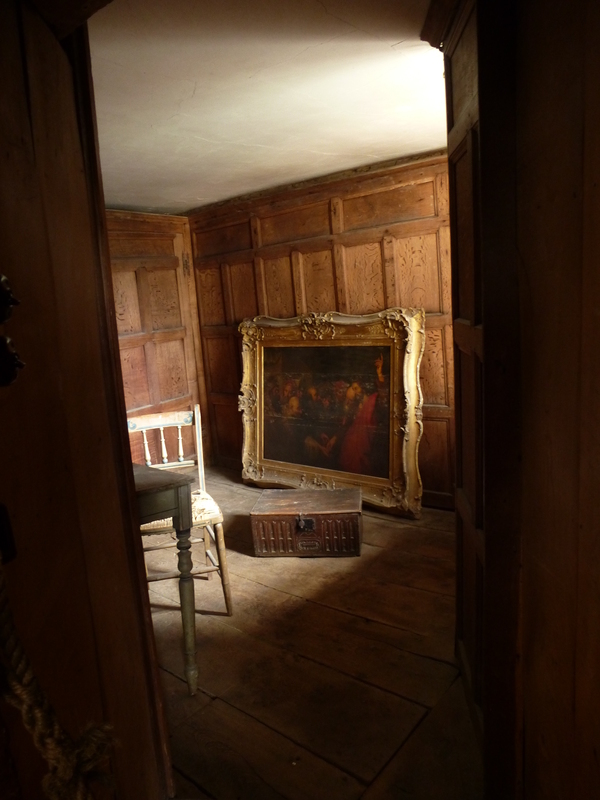 Only a limited number of people are allowed into Chastleton at any one time, so it is still possible to find yourself alone in this wonderful house, even if it is just for a moment. And it is in these rare moments that magic can happen. I’ve just spent a magical weekend in the beautiful Cotswolds. It’s the first time that I have had the chance to properly explore the area, and I certainly wasn’t disappointed. With its rolling landscape dotted with ancient oaks, rambling hedgerows and pretty cottages, it is hard not to fall for this peaceful part of rural England, a place which seems to have changed little over the centuries. My first encounter with magic was in the churchyard of Stow-on-the Wold’s historic St Edward’s church. 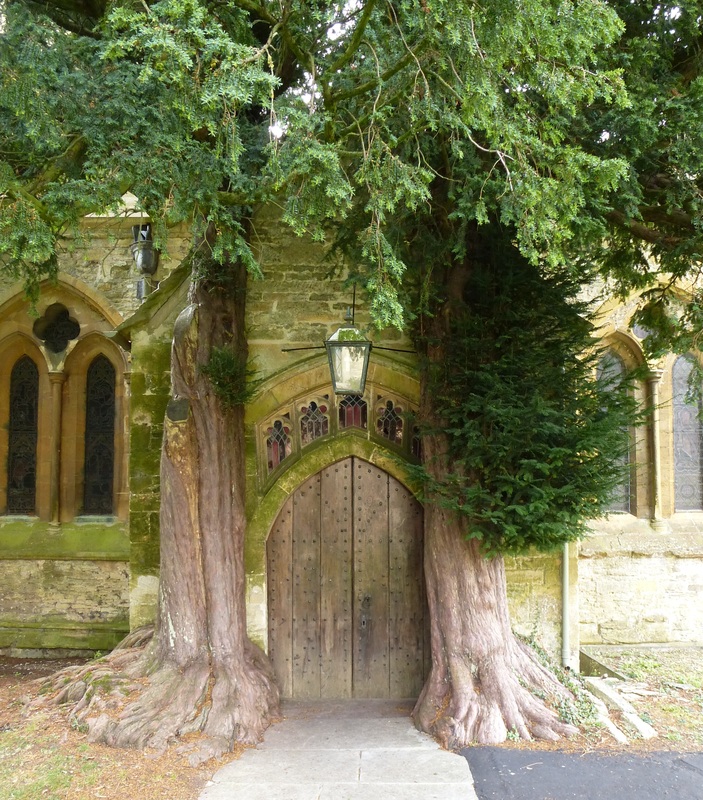 This doorway, flanked by ancient trees which almost seem to have grown in to the fabric of the building, caught my eye. 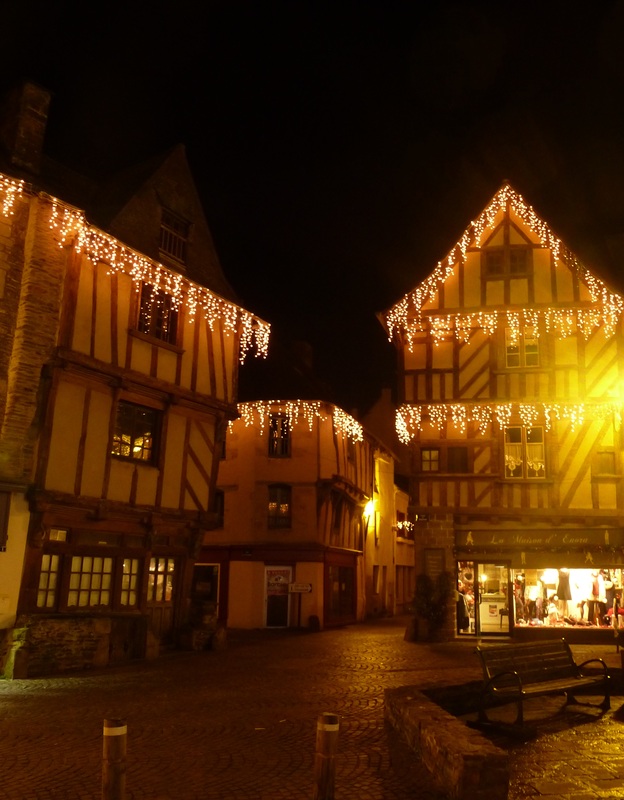 I am off to Brittany again next week, and will be searching for magic of course. Thinking about my trip reminded me of a wonderful place I came upon by chance during my last visit to that part of the world, namely the Château and village of Trégranteur. I was on a long, rather boring drive when I spotted an old rusty signpost for the chateau pointing down a narrow side road. On the spur of the moment, hoping to break up the journey, I decided to check it out. 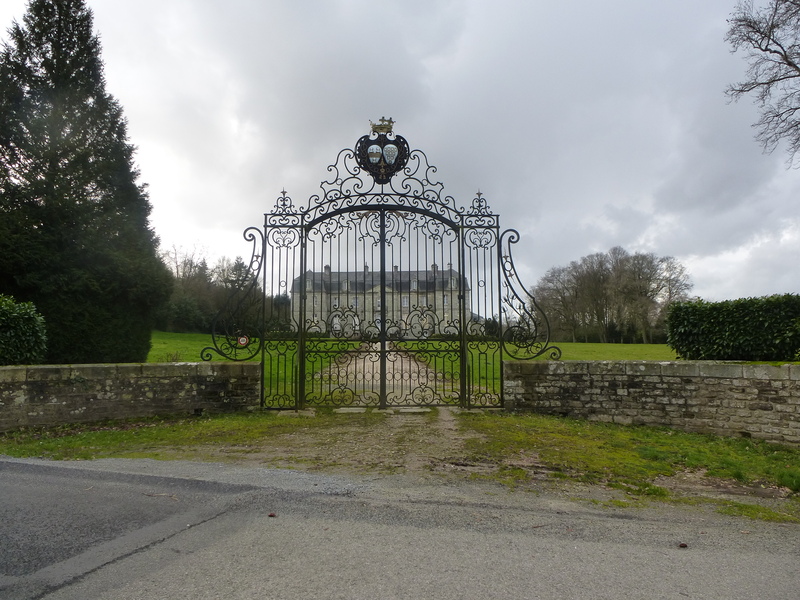 The grand 18th century château wasn’t actually open to the public, but could be viewed from the nearby road. In fact, with its closed shutters and firmly locked gates, it looked all but deserted. The village next to it was empty too, a bit of a ghost town, but all wonderfully magical. 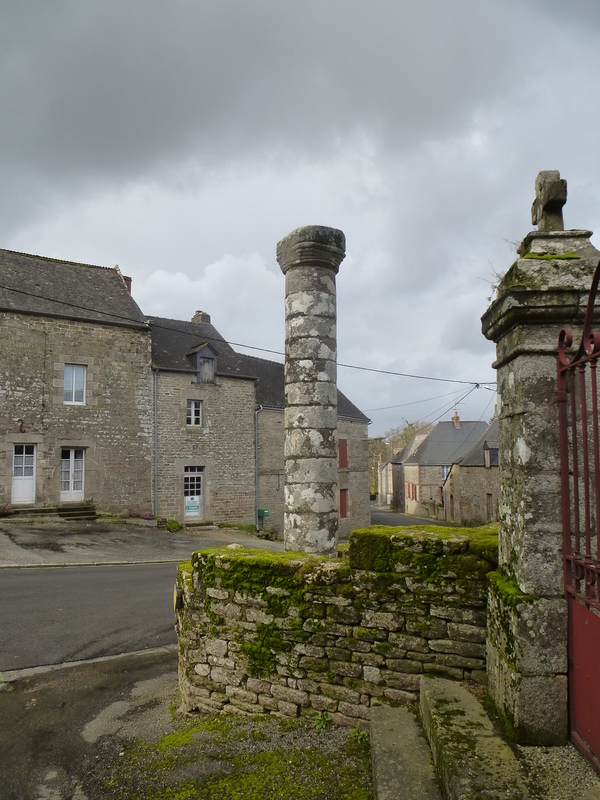 Next to the church stands the rare Colonne de Justice (Column of Justice) dating from the 17th Century, where every Sunday a local official would read out the latest orders and judgements. 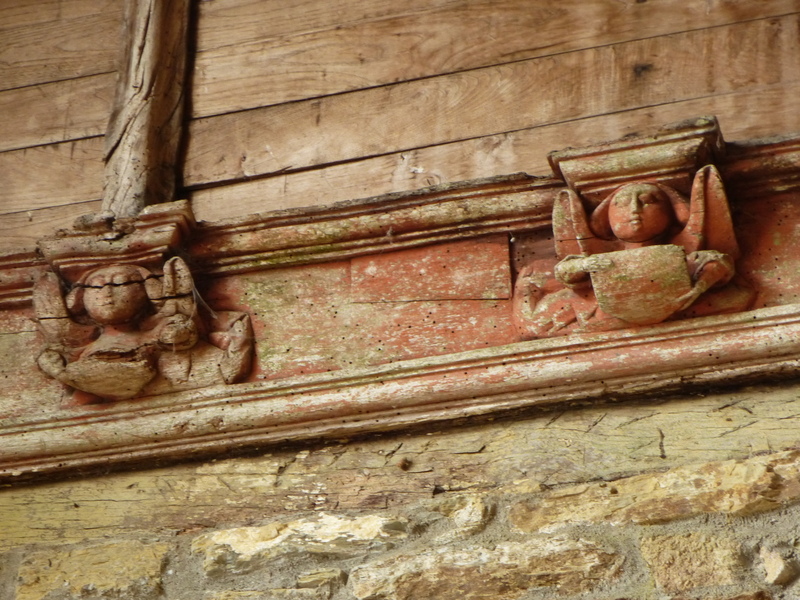 As I wandered round the village, with its pretty old houses, many of them now empty and derelict, I also spotted a couple of interesting medieval religious carvings, both worn and covered in colourful mosses and lichens. I didn’t see another soul during the whole time I was there, apart from a couple of noisy, but thankfully friendly, dogs. I’ll be reporting back from my Breton adventures soon! 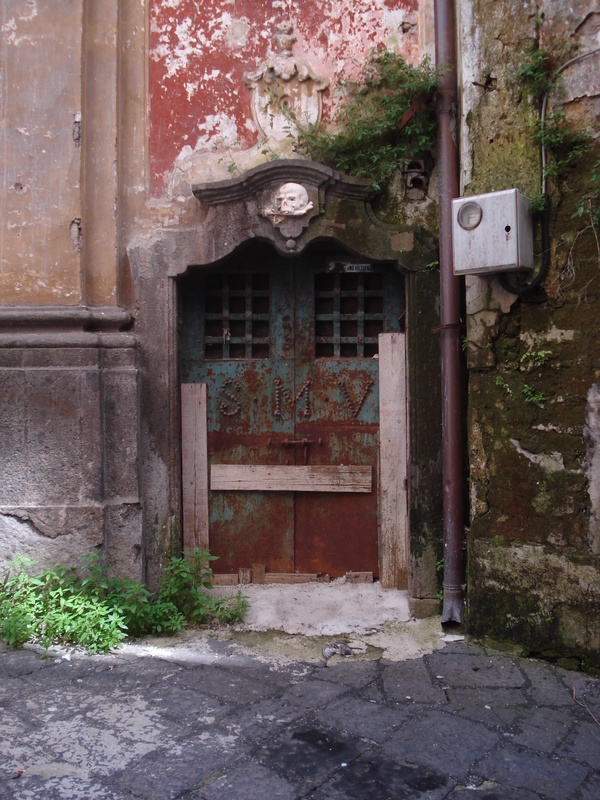 I was looking through some old photographs this week, and came across these images from a past trip to my favourite magical city, Naples. 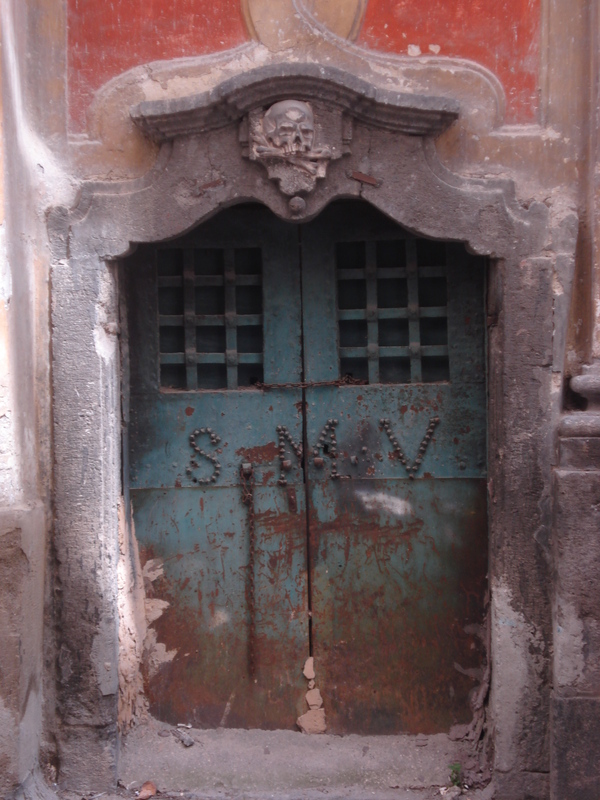 These pictures brought back memories of my wanderings through the maze of narrow streets and alleyways that make up the city’s ancient Centro Storico. It’s a place full of intriguing surprises, with a beautiful baroque palace or crumbling church around ever corner. I discovered a wonderful pink church on one of these strolls. I don’t know what the church was called, and to be honest I am not even sure I could find it again if I tried. 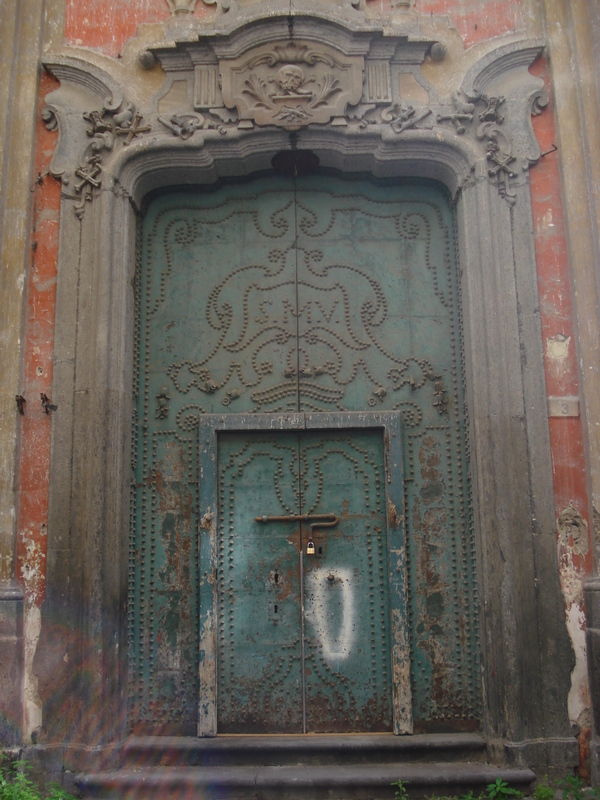 The once-impressive building was in a bit of a sorry state, empty and boarded up, but I was particularly drawn to its magical old doors. All three were adorned with rather macabre carved skulls, a symbol of the Neapolitans’ strange fascination with death and mortality. I love to imagine what lay inside, and while I feel sad to see historic buildings in such poor condition, there is definitely something magical about this city’s faded grandeur. I hope it won’t be too long before I go back to Naples, and do some more exploring of its back-streets in search of magic…and in the meantime, if anyone recognises this church and can identify it for me I would be eternally grateful! 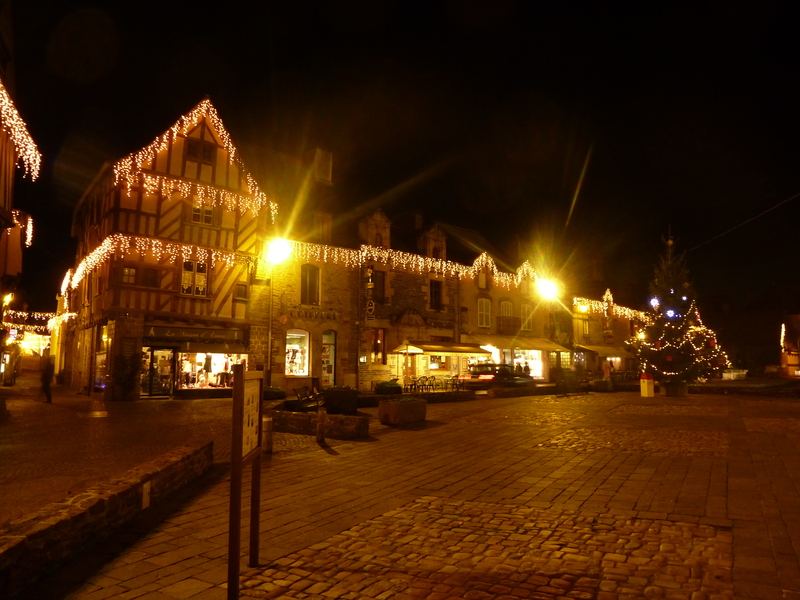 This year I am spending the holidays in the lovely French town of Malestroit. With its pretty medieval quarter dotted with strange sculptures, Malestroit is always a pretty special place. 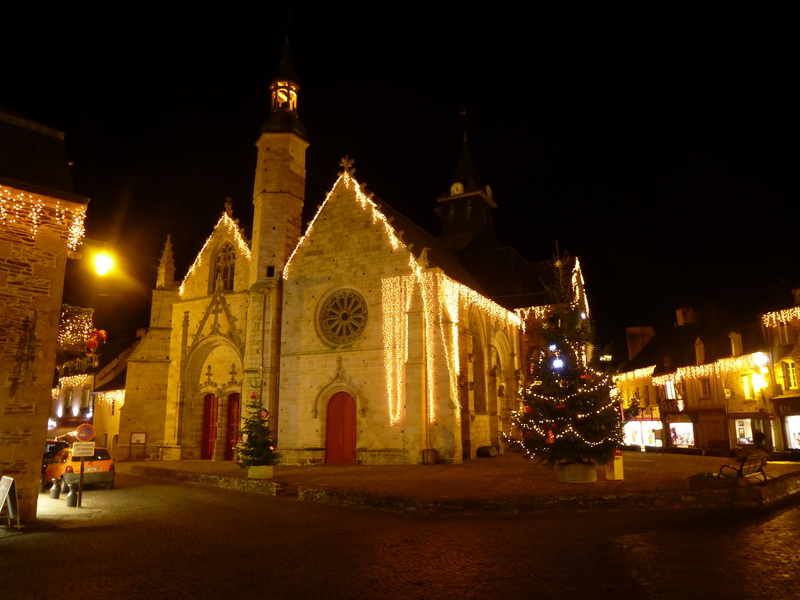 At this time of year the locals decorate the main square with Christmas lights and place a huge tree next to the ancient church. As you can see from these photographs, the results are rather wonderful. On a dark evening, the chill air filled with the sweet smell of wood smoke, the atmosphere here is truly magical. But the great thing about Christmas is that it can be magical, wherever you are. So here’s to a happy, and of course very magical, 2014! The Hoo Peninsula is a place with a strange, rather magical atmosphere. Despite the fact that it is located north of Rochester in Kent, just a few miles from the London’s sprawling metropolis, it feels remote, almost forgotten. It’s the kind of place that people tend to pass by without even noticing it is there. 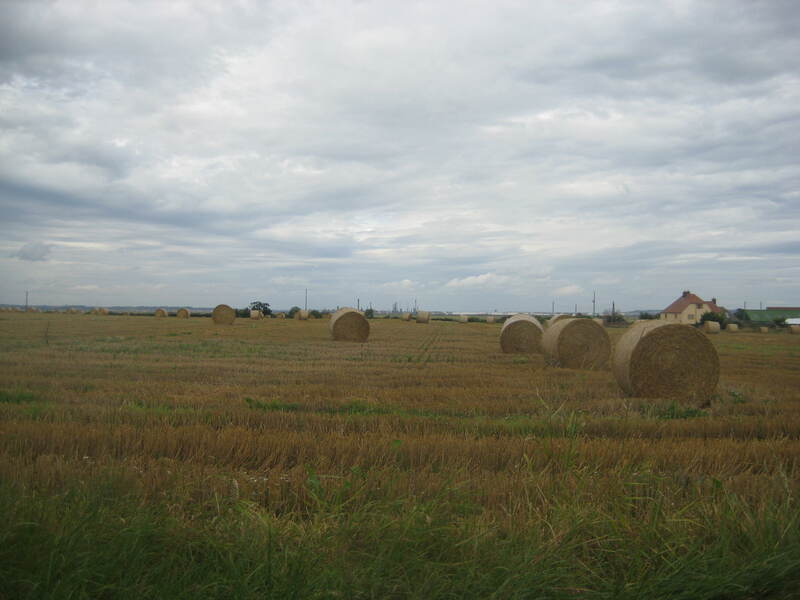 This is also an area with a long history stretching back to Saxon times, the word Hoo being derived from the old English for ‘spur of land’. It is dotted with ancient buildings, in particular medieval churches, but despite the fact that it has rolling hills and rich farmland, this is no picture-postcard idyll. The arrival of industry in the 19th and 20th Centuries has resulted in large-scale developments around the peninsula’s coastline. No matter where you are, no matter how pastoral the surroundings, the looming visions of chimneys and the hulks of power stations can be seen lurking in the distance. 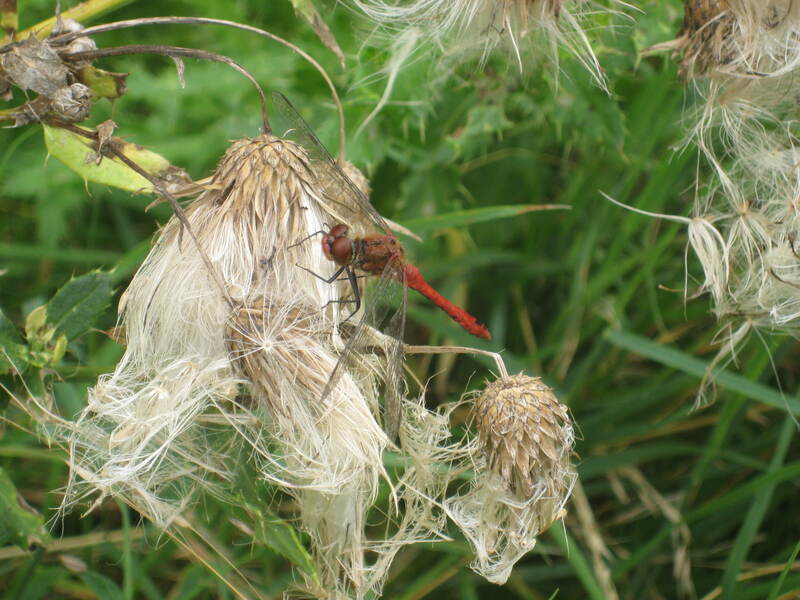 All of this heavy industry hasn’t stopped the peninsula becoming a haven for wildlife, which now attracts birds, insects, rare water voles and wild flowers. 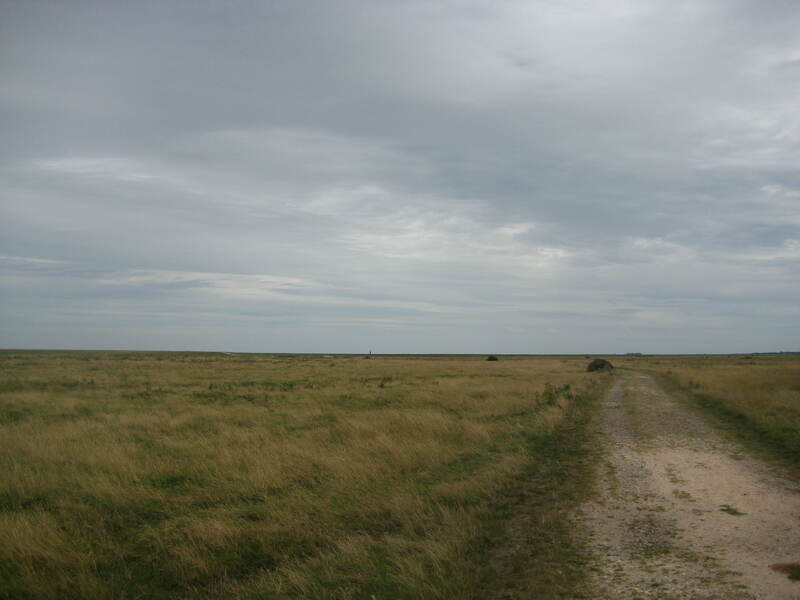 The views here are breathtaking; on a blustery day when the sky is wide and dark the marshes near Allhallows can feel like the edge of the world. Further south, the village of Cooling stretches along a narrow country road, the crumbling remains of a castle at its centre. 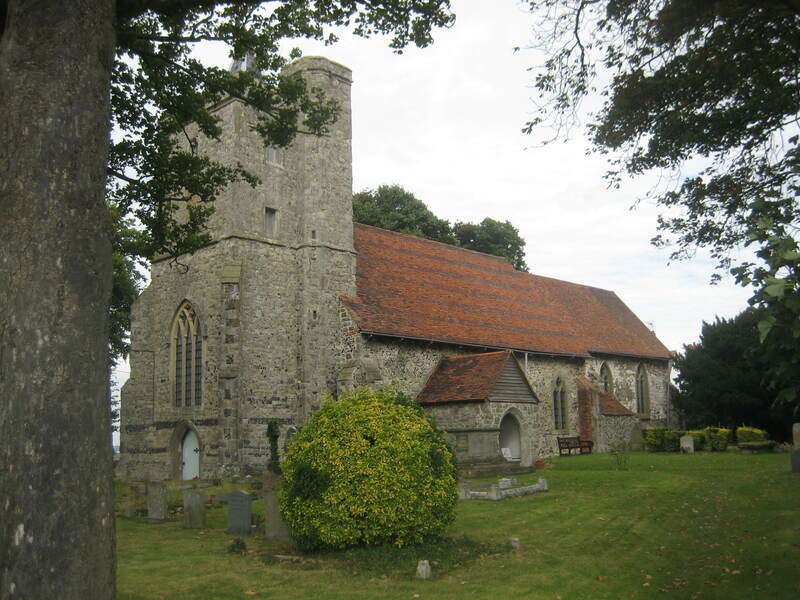 The nearby church of St James’ may be redundant, with no regular services held there, but it is now in the care of the Churches Conservation Trust, who keep it open to the public. Inside it holds some fascinating remnants of ancient Kent, in particular the rows of 14th Century carved oak benches, and an odd little vestry, the walls of which are decorated with thousands of cockle shells. Charles Dickens recognised the spooky possibilities of Cooling and its windswept surroundings, allegedly using the churchyard as inspiration for the opening scene of Great Expectations, which features the pivotal meeting between Pip and the escaped convict Magwitch. In the late 19th Century the mud of the peninsula’s flats became a valuable commodity, ideal for use in the production of cement. Fleets of barges would carry the mud from Hoo to factories further up the Medway and beyond. Later, as trade declined in the early 20th Century, the barges were either converted into houseboats or left as hulks on the shoreline, their dark, ghostly wrecks still visible around the peninsula today. If you are looking for chocolate box perfection, then the Hoo Peninsula is not for you. Parts of it are built-up and ugly, huge factories blot the skyline and the remains of concrete military installations litter the shore. But at its heart are ancient places, villages and buildings which recall a long and complex past. Perhaps it is the contrast of these two worlds that makes the Hoo Peninsula so intriguing. This is, however, is a place at risk. Recent proposals to build an airport here are strongly opposed by the locals, who fear it will destroy the area’s fragile environment. Let’s hope that they are successful in their campaign, and manage to preserve the unique landscape of this eerie, magical corner of England.